Katie Moellinger grew up in Kenton County and currently lives in Villa Hills with her husband. 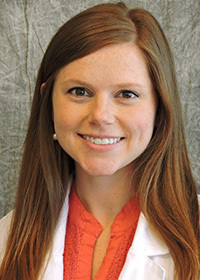 She earned her Bachelor of Science degree in Dietetics from the University of Kentucky. She has experience in community nutrition, school food service, enteral nutrition, and medical nutrition therapy. At Figure Weight Loss, she helps patients develop a healthy lifestyle by providing them with nutrition education and support.